With tablet use growing and mobile devices becoming more popular than ever in retail stores, Samsung has launched a new range of tablets targeted at prosumer users and those wanting to upgrade from a small-screen tablet experience. Making its way to the Australian market at the end of March, the NotePRO was first unveiled at Samsung’s preview press conference at the International CES earlier this week. The 12.2-inch screen device builds on Samsung’s existing Galaxy Note range, particularly the tablet/smartphone hybrid Note 3, featuring the same design touchpoints including a leather-look back and the brand’s S Pen stylus. Both devices feature the world’s first 12.2-inch WQXGA Widescreen (16:10) display, according to the brand, with a “crystal clear resolution” of 2,560 x 1,600 and more than 4 million pixels. 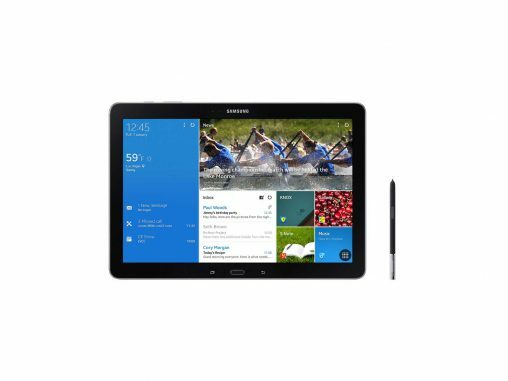 Samsung Electronics Australia corporate vice president of consumer electronics, Phil Newton, said the new NotePRO would help the brand capitalise on the growth of the tablet category, while also offering consumers a notebook-like experience in a tablet form factor. “The introduction of the Note Pro and Tab Pro is to essentially give a more professional consumer more power, and a more notebook-like device,” said Newton. The NotePRO is set to launch in Australia in late March with the notebook-like 12.2-inch size, as well as 10.1 and 8.4-inch models, while the TabPRO will be available in 10.1-inch and 8.4-inch screen sizes.